Buy with confidence — you will not find any reproductions, facsimiles or modern copies amongst our maps and prints. All our items are over 100 years old unless specified. An antique line engraving by J. Shury & Son after G.S. Shepherd. Circa 1840 with later hand colouring. More Info An antique coloured lithograph after James Duffield Harding. Published by Charles Tilt, London in 1836 for the set of topographical views entitled, Sketches at Home and Abroad. 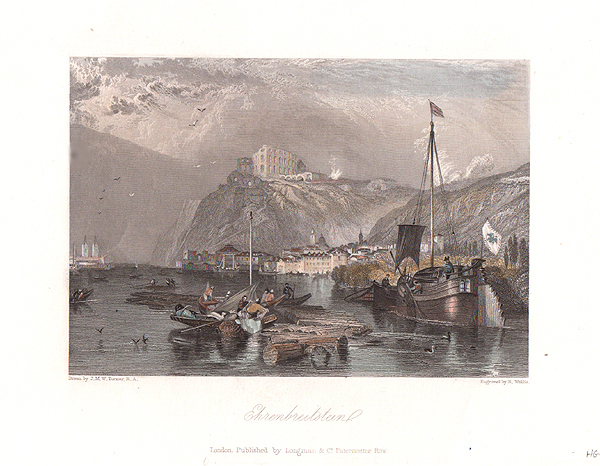 It is titled, dated and initialed in the stone to the lower left, "Frankfort, Aug. 1834, J. D. H.". 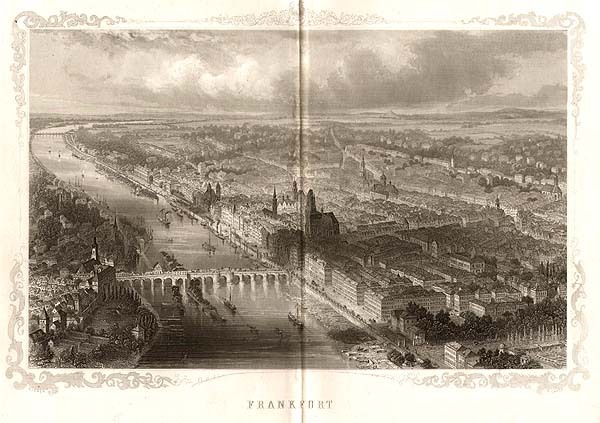 The scene depicts a large and impressive nineteenth century view of this important German city from the riverbank. Laid on card. 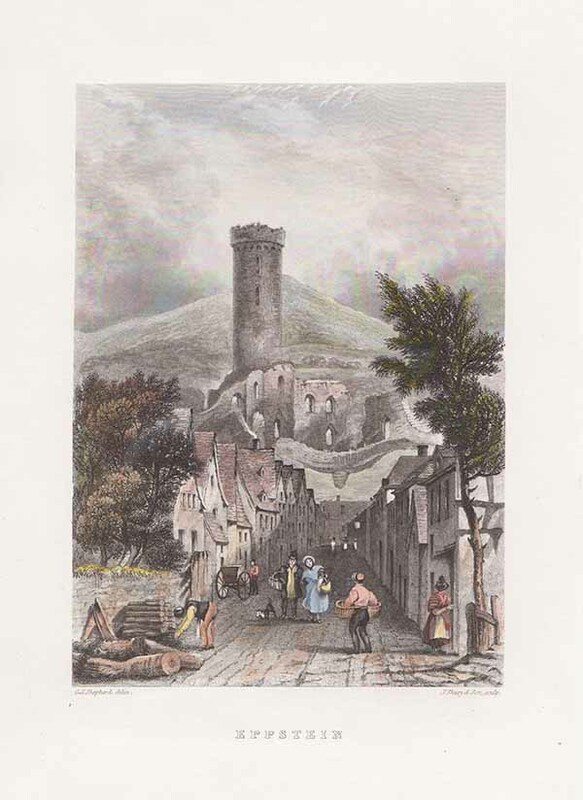 An antique coloured lithograph after James Duffield Harding. Published by Charles Tilt, London in 1836 for the set of topographical views entitled, Sketches at Home and Abroad. 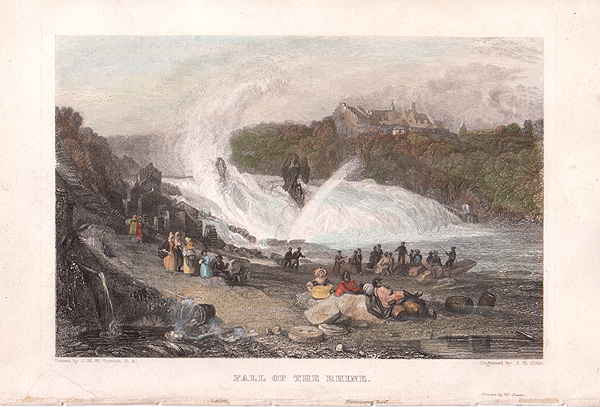 It is titled, dated and initialed in the stone to the lower left, "Frankfort, Aug. 1834, J. D. H.". 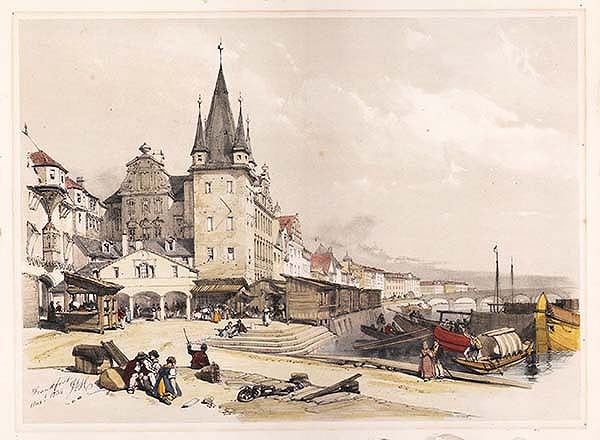 The scene depicts a large and impressive nineteenth century view of this important German city from the riverbank. Laid on card. An antique line engraving by J.B. Allen after J.M.W. Turner. R.A. Circa 1840. Later coloured by hand. Entrance to Andernach on the Rhine. An antique line engraving by Chas. Heath after Prout. Circa 1840. Later coloured by hand. An antique line engraving by R. Wallis after J.M.W. Turner. R.A. Circa 1835. Later coloured by hand. Ehrenbreitstein is a fortress on the mountain of the same name on the east bank of the Rhine opposite the town of Koblenz in the German state of Rhineland-Palatinate. New Railway Bridge at Kehl. An antique woodcut engraving which was published in "The Illustrated News of the World" on August 3oth, 1862. 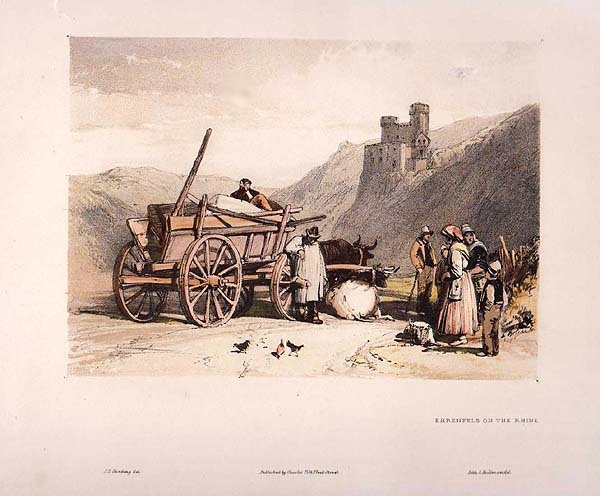 A coloured lithograph by C. Hullmandel after J.D. Harding. Minor damage in top right corner of image. 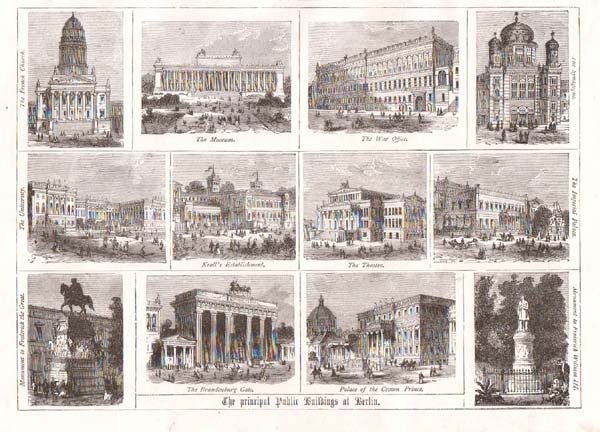 The Principal Public Buildings at Berlin. Approx 24cms by 17cms. Top margin cropped close to printed border. An antique line engraving by A.H. Payne after Carse. Circa 1880. Centrefold as published. Stitching by the bookbinder has caused a series of holes along the centrefold. 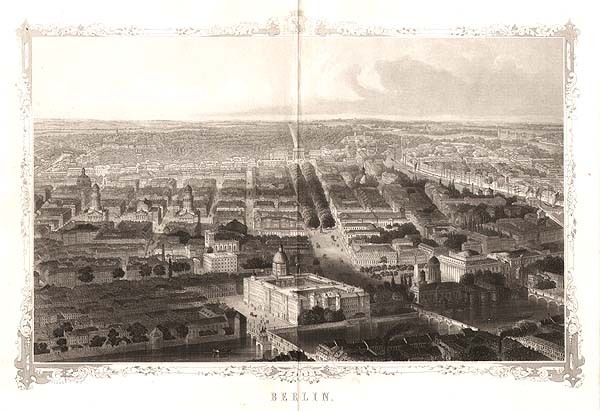 An antique line engraving of Berlin by A.H. Payne after Elsner. Circa 1880. Centrefold as published. An antique line engraving of Coblentz. Circa 1880. 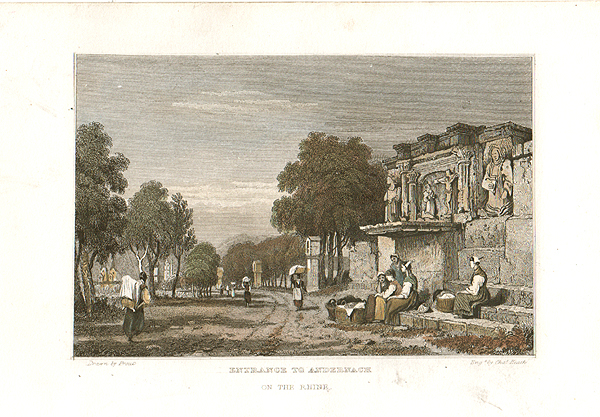 An antique line engraving by T. Radclyffe after A.G. Vickers. Published in 1834. The colouring is later. An antique line engraving by W. Henshall from an original drawing by S. Prout. Published in 1834. The colouring is later. An antique line engraving by H. Winkles from a drawing by J. Archer. Published in 1834. The colouring is later. Church of St. Nicholas, Berlin. An antique line engraving by D. Buckle after A.G. Vickers. Published in 1834. The colouring is later. An antique line engraving by Henry Wallis after A.G. Vickers. Published in 1834. The colouring is later. An antique line engraving by H. Wallis after A.G. Vickers. Published in 1834. The colouring is later. High Street & Town Hall, Marienberg. An antique line engraving by J. Havell after A.G. Vickers. Published in 1834. The colouring is later. An antique line engraving by A. Le Petit from an original drawing by G. Balmer. Published in 1834. The colouring is later. Entrance to Lubeck by the Holstein Gate. An antique line engraving by E. I. Roberts after A.G. Vickers. Published in 1834. The colouring is later. The New Custom House, from the River Spree, Berlin. An antique line engraving by E. Radcyffe after A.G Vickers Published in 1834. The colouring is later. The Exchange, Hamburg, from the Canal. An antique line engraving by J. Lewis after A.G. Vickers. Published in 1834. The colouring is later. Court Yard of the Royal Palace, Berlin. An antique line engraving by F.L. Roberts after A.G. Vickers. Published in 1834. The colouring is later. An antique line engraving by James Lewis after A.G. Vickers. Published in 1834. The colouring is later. An antique line engraving by H. Wiunkles from an original drawing by H. Brown. Published in 1834. The colouring is later. 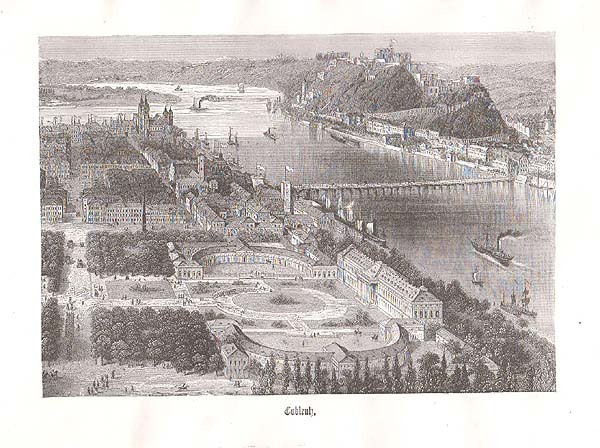 An antique line engraving of Drachenfels in the Siebengebirge mountain range near Bonn. Drawn by J.A. Hammersley and engraved by R. Brandard. Circa 1860. A line engraving by J. Godfrey after J.W. Carmichael. Circa 1840. A line engraving by R. Wallis after J.M.W. Turner. R.A. Circa 1840. Part of Dresden, from the Right Bank of the Elbe. 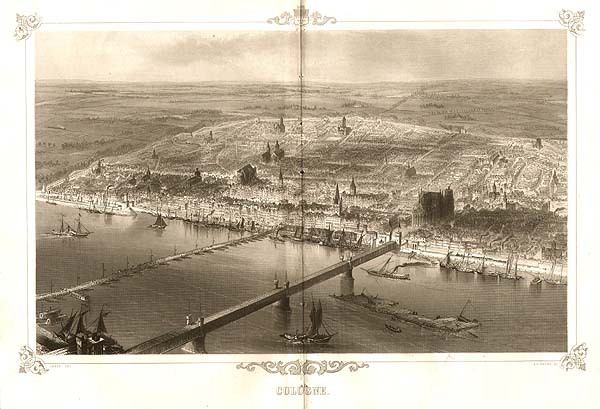 A woodcut engraving which appeared in "The Illustrated London News" on 23rd July, 1853.